Shopping for a new Mazda CX-3? The CX-3 offers the best value in mid-price Touring trim: skip the Bose audio option, but take the safety package that includes full-speed automatic emergency braking. The 2019 Mazda CX-3 does much to please drivers with its nimble compact crossover moves. 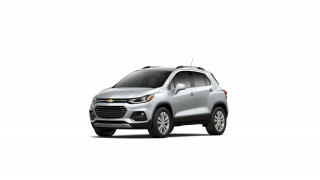 It’s stylish, has lots of the latest safety features available, and steers and rides well for a small car with cranked-up ride height. What it doesn’t do so well is an SUV essential. The pint-sized CX-3 simply can’t hold many people or much stuff. The 2019 CX-3 wears a slightly reshaped grille this year, but it’s otherwise still the same compact car as last year’s model. Forget the crossover-SUV stuff implied in commercials, the CX-3’s a hatchback with available all-wheel drive, one that rides just a bit higher than the Mazda 3 that sits across the showroom. It’s a handsomely executed shape, but we wish the cabin had a bit more verve, or at least gauges that didn’t smack of budget pricing. Acceleration’s only average: a 148-horsepower inline-4 channels the CX-3’s output through a 6-speed automatic to the front or to all four wheels, and it does so without much vigor. Behind-the-wheel pleasures come mainly from its crisp steering and firm ride. 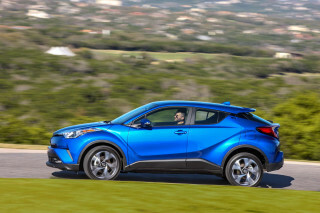 Drive the CX-3 against an HR-V or a Crosstrek, and the Miata influences come in clear focus. The CX-3 can’t compete in the space race, not against the HR-V. Its front seats suit its scooty looks, but the back seat’s a penalty box for anyone bigger than medium-sized, and cargo space is measly unless the back seat’s folded down. Crash-test scores are very good for such a small car, and the latest safety equipment’s offered even on the base model. Standard equipment for 2019 includes Bluetooth audio streaming and power features, as well as Mazda’s fiddly infotainment system, which does not come with the now-customary Apple CarPlay and Android Auto alternative interfaces. The 2019 Mazda CX-3 channels hatchback style for its clean good looks. Mazda has toyed with rugged SUV style in the past. Extra credit if you remember the Tribute or Navajo. It avoids that cliched territory altogether with the 2019 CX-3. A sleek hatchback in all ways save for ride height, the CX-3 offers a fresh look and a well-composed if bland cockpit for the driving. Mazda put pen to screen for the CX-3 a few model years back, but the look remains fresh. The company’s cars avoid the surface clutter and pay careful attention to the surfaces themselves, and that explains the CX-3’s subtly curvaceous body well enough. The blend of hood creases and door cuts moves light around the body of the CX-3 in an interesting way; it’s both straightforward and engaging. The abundance of black trim around the glass aside, the CX-3 makes a good show of its shape, especially with the Touring trim’s big 18-inch wheels. The CX-3’s cabin mixes finer materials with monochrome-lit gauges that seem like an parts-bin anachronism. The rugged-ish materials wear softer finishes and look richer than the CX-3’s low-$20,000s base price. And outside the gauge cluster the CX-3’s controls have a clean and neat appearance, though we’d skip the head-up display for its murky output. Good handling and adequate power give the 2019 Mazda CX-3 its bright, pleasant road manners. Choice abounds in some crossovers and hatchbacks, but not with the 2019 Mazda CX-3. Will that be front-wheel drive, or all-wheel drive? Great, and we’re done here. With its nearly mono-spec drivetrain, the CX-3 flatters all drivers with crisp steering and a firm ride, but tames them all with moderate 4-cylinder power. Power for the 2019 CX-3 comes from a 2.0-liter inline-4 that’s been breathed on for the latest model year—by a hummingbird, not by Hennessey. Power’s up by 2, and the CX-3 now spins out 148 hp and 146 lb-ft of torque. Every one comes with a 6-speed automatic. No, the combination won’t light the world on fire, but at highway speeds it’s perfectly capable of keeping the pace. From launch, it grumbles and groans to get up to that speed, and it really only sounds happy at half-throttle, but the same’s true for almost every economy car we can imagine. The days of sewing-machine-smooth 4-cylinders are long over. The 4-cylinder couples to a 6-speed automatic that spares drives the drone of a CVT. It’s adequate in its responses, but paddle shifters only come with Grand Touring models. Steering and handling have been the CX-3’s forte. In the past two years, Mazda says it’s retuned the CX-3’s suspension with new control arms, bushings, and shocks to better its road responses. 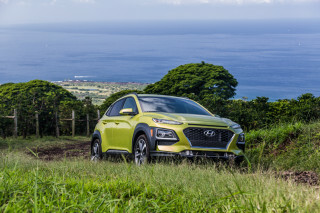 It’s also added a torque-control system that varies power to the front wheels to help smooth out the car’s ride (by alternating torque to wheels under cornering). It’s been a minute since we’ve driven a CX-3, but even when it was new, it had the lateral stability and engaging steering of a more sporty car, not a top-heavy hatchback. For a little more than a grand, Mazda adds all-wheel drive, which summarily deducts a bit of fuel economy. Unless your state lives under constant threat of white stuff in winter, it’s fine to skip since the CX-3’s balanced handling only needs a set of winter tires to perform admirably. The 2019 Mazda CX-3 is no SUV: it makes a feint for “utility,” but comes down solidly in the “sport” corner. Great for two, poor for four: the 2019 Mazda CX-3 does its best work from the front seats. Mazda puts just 101.2 inches between the CX-3’s front and rear wheels. It carves out as much space as possible, but that’s still on the order of a Mini Countryman, less than the brilliantly packaged Honda HR-V. The good news comes to front passengers, who get reasonably comfortable seats even in base models, and enough room on all versions thanks to a cabin with its space weighted toward those in front. In back, it’s pretty dismal for tall passengers. The CX-3 has a curvy roofline and a rising beltline, and they conspire to cut into head and knee room and to make the back seat a den of claustrophobia. The CX-3 only has 12.4 cubic feet of storage space behind its back seat, or just slightly more than a Mercedes SL convertible. Fold down the rear bench, and the CX-3’s cargo bin blooms to more than 44 cubic feet. Drive it like an MGB GT and the CX-3 exceeds expectations (on reliability alone!). Roll with it like a crossover SUV and it falls short. Mazda’s added more sound deadening to the latest CX-3, but noise has hardly been the car’s major downfall. The 2019 Mazda CX-3 gets good crash-test scores, and has impressive safety technology. The IIHS says the latest CX-3 earns “Good” scores in all crash tests, as well as an “Acceptable” rating for its available LED headlights on Grand Touring models. That earns it a Top Safety Pick, at least until the agency updates its ratings for 2019. The NHTSA gives the hatchback five stars overall, with a note that passenger-side impact protection may allow more intrusion than normal. Mazda adds standard low-speed automatic emergency braking to every model, while Sport and Touring editions can be fitted with a full-speed system that is standard on the Grand Touring. Those models may also be optioned up with adaptive headlights, a head-up display, lane-departure warnings, and adaptive cruise control. Independent testers noted that the automatic braking system doesn't meet federal criteria for forward-collision warnings. Mazda offers all-wheel drive on the CX-3, but we question its value in such a compact vehicle with such good handling balance. The CX-3 also has good outward vision. The 2019 Mazda CX-3 may be best in its least expensive trim level. 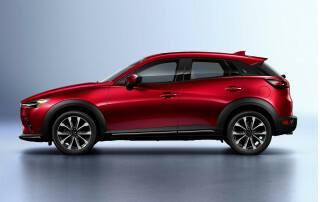 With a price tag that ranges from $21,000 to more than $28,000, the 2019 Mazda CX-3 toes the brand’s budget-crossover line. It does so better at the cheap end of the spectrum. The base CX-3 Sport comes with just about everything we think is necessary in a car of its size and mission. Sport models get standard power features, 16-inch wheels, keyless ignition, cloth upholstery, a 7.0-inch infotainment system with touchscreen, USB and Bluetooth connectivity, blind-spot monitors, and low-speed automatic emergency braking to go with its forward-collision warnings. Mazda offers adaptive cruise control, full-speed automatic emergency braking, LED headlights, and lane-departure warnings as an option package. Mazda doesn’t offer Apple CarPlay or Android Auto compatibility, though, and that would go a long way to curing the CX-3’s woeful infotainment system, which doesn’t have a very clearly designed interface or an override such as those smartphone-based systems. 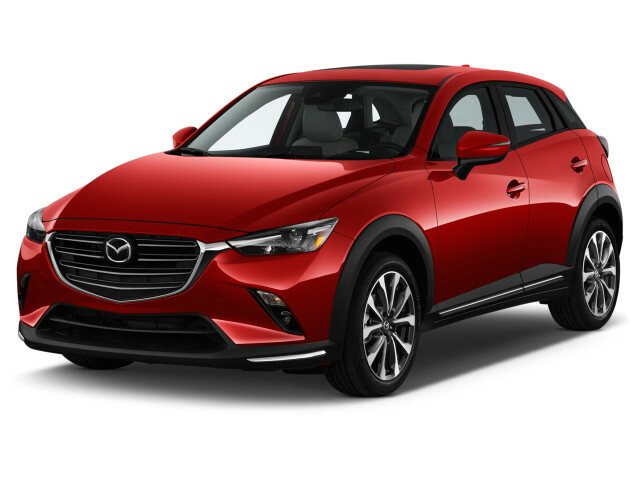 In the CX-3 Touring, Mazda fits synthetic leather upholstery, 18-inch wheels, automatic climate control, blind-spot monitors, LED headlights, and heated front seats. An option package adds Bose audio, satellite radio, and a moonroof; another adds the same safety technology as offered on the Sport. We’d stick with this trim level, skip the audio bundle and take the safety bundle. Grand Touring editions get those features and navigation, leather upholstery, and a head-up display, as well as all the safety features Mazda makes optional on other models. All-wheel drive can be had on any CX-3. The 2019 Mazda CX-3 earns very good fuel economy the old-fashioned way. You won’t find battery packs or hybrid motors in the 2019 Mazda CX-3, just a lightweight body and a sippy-cup of an inline-4 under the hood. The EPA rated the 2019 CX-3 at 29 mpg city, 34 highway, 31 combined for the base front-drive CX-3. 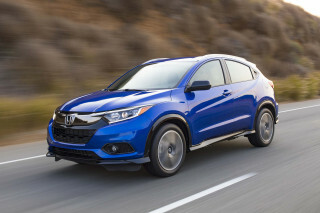 With all-wheel drive and its additional 150 pounds of weight, economy falls to 27/32/29 mpg. Look left and right, and the CX-3 is in good company with those numbers. 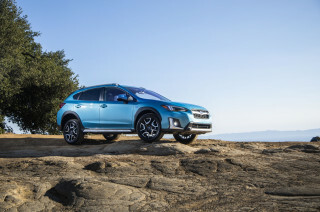 It’s in close company with the Honda HR-V and the Subaru Crosstrek, as well as the Toyota C-HR. Looking for a different year of the Mazda CX-3?